Want to make accounting simpler on Mac? Then we will guide you in this as with the help of Quickbooks for Mac, you can easily manage all your accounting needs. Right from list of key differences to the multi user access and the ability to create an automated file for an Accountant for the copy of the same, you can almost do everything with this tool. 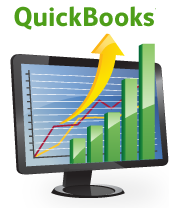 Quickbooks for Windows is very popular but it has now arrived even for Mac. Basically, there are several methods with which without getting into any sorts of difficulties, you can easily setup this quick books on your Mac. All you need to do is to just follow the simple procedure mentioned below, after which you will be easily able to set up this QuickBooks on your Mac which comes with an easy to use and simple interface. Firstly, close all the applications which are running, next up you will have to restart the computer after installing the QuickBooks 2007 for Mac. Now, insert the Quicksteps CD into the CD / DVD ROM drive after which the QuickBooks installation window will be displayed automatically. Now, just drag the QuickBooks icon from the installation window to the Applications folder. Now, you will have to double click on the QuickBooks icon which is there in the Applications folder after which you can open QuickBooks on your Mac. Though this software can be tried for free, the latest version of Quickbooks Pro 2011 will cost 200$.